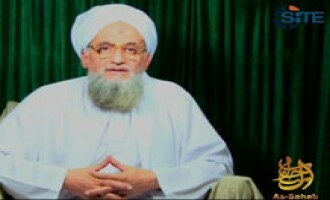 Al-Qaeda leader Ayman al-Zawahiri addressed the incident in which copies of the Qur'an were burned in Bagram airbase in Afghanistan, calling it another crime of the "Crusaders" and urging Muslims to take action. A female-focused jihadist media group, the "Workshop of the Granddaughters of Salafiya," distributed the first issue of a new e-magazine addressing the plight of imprisoned female jihadists. 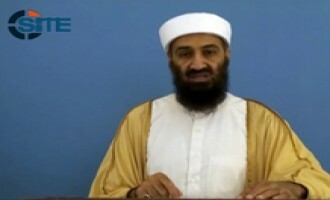 Hani al-Sibai, a London-based jihadist ideologue and director of the al-Maqreze Center for Historical Studies, issued a May 1, 2012 judgment discouraging jihadists from commemorating the anniversary of Usama bin Laden's death. 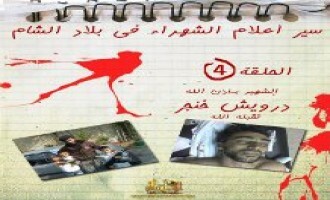 Al-Masada Media Foundation, a jihadist media group affiliated with the Shumukh al-Islam forum, published a biography of a fighter named Darwish Khinjar as the fourth episode in their "Biographies of the Martyrs in the Levant" series. 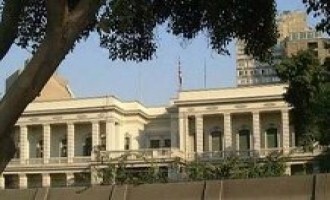 A jihadist called for attacks against Britain and its interests around the world if the British government extradites Abu Qatada al-Filistini to Jordan, initiating a discussion in which jihadist forum members suggested that militants strike British and American targets in return for the extradition of Abu Qatada. 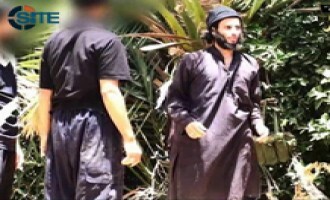 The wife of Rafie Mustafa Sayyid Ahmed Suleiman AKA Abdul Majeed Abdul Majid, Miqdad al-Masri, a member of al-Qaeda's Shura Council, announced that he and his two sons were killed in October 2011. 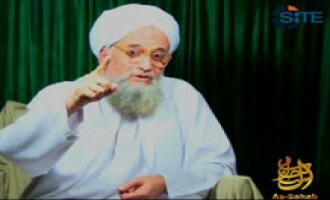 Al-Qaeda leader Ayman al-Zawahiri released a video message on jihadist forums on February 11, 2012, in support of the Syrian uprising. 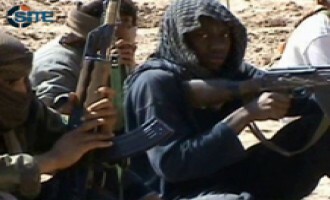 A Somali jihadist reported that Somalis expressed pride in the Shabaab al-Mujahideen Movement joining al-Qaeda, and showed defiance in the face of the enemy, telling them to "perish in your rage." 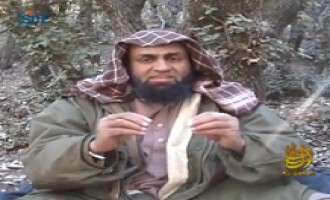 Al-Qaeda's media arm, as-Sahab, released a video showing slain jihadist forum administrator Haitham al-Khayyat AKA Abu Kandahar al-Zarqawi amidst clips of rocket attacks in Barmal district of Paktika province in eastern Afghanistan. 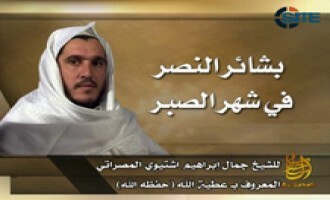 Khalid bin Abdul Rahman al-Husainan (AKA Abu Zeid al-Kuwaiti) gave an interpretation of Chapter al-Fatihah, the opening chapter of the Qur'an, in a video lecture produced by al-Qaeda's media arm, as-Sahab. 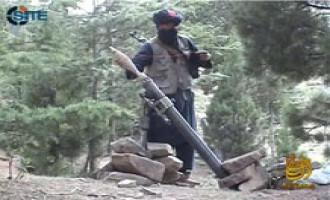 Al-Qaeda's media arm, as-Sahab, released a video focusing on mortar and rocket attacks in Paktika province of Afghanistan, and in particular, against an American base in Machadad. 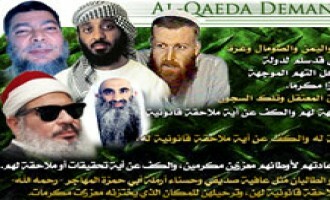 The Shumukh al-Islam Network, an outlet for official messages from al-Qaeda and its affiliates, has prominently featured a banner atop its forum listing the demands of al-Qaeda for the release of Warren Weinstein. 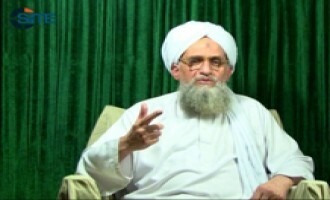 Al-Qaeda leader Ayman al-Zawahiri announced the death of fellow al-Qaeda official Attiya Allah, and claimed responsibility for the kidnapping of an American citizen in Pakistan in an audio speech released on jihadist forums on December 1, 2011. 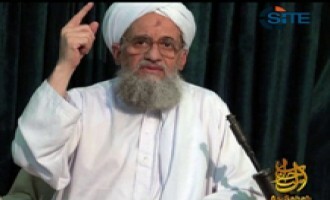 In the same speech in which he announced the death of Attiya Allah, al-Qaeda leader Ayman al-Zawahiri claimed responsibility for the capture of a 70-year old American citizen in Pakistan, Warren Weinstein. 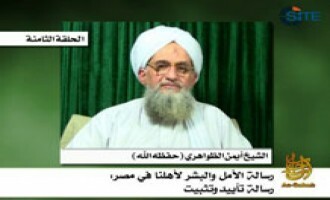 Al-Qaeda leader Ayman al-Zawahiri reflected on his memories of Usama bin Laden in the first episode of a new video series titled, "Days with the Imam." 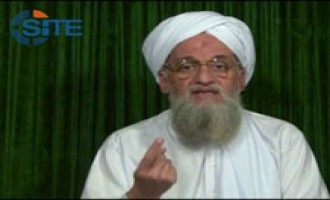 Al-Qaeda leader Ayman al-Zawahiri appeared in a new video released on jihadist forums on November 15, 2011. Al-Qaeda's media arm, as-Sahab, released a video focusing on Eid al-Fitr celebrations by fighters in Nuristan province of Afghanistan. The "Minbar Media Project" released a second video from a group calling itself "Kateeba Jund al-Khilafah," (Brigade of the Caliphate's Soldiers), showing what they claim to be a rocket attack on a military base in Khost province of Afghanistan. A jihadist urged Yemenis to attack the US Embassy and drag the American ambassador through the streets of Yemen's capital, Sana'a, as revenge for the killing of radical American-Yemeni cleric Anwar al-Awlaki. 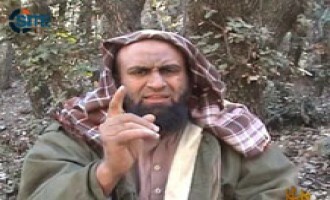 The family of the "Blind Sheikh" Omar Abdul Rahman issued a statement regarding the death of Ahmed Omar Abdul Rahman in a US drone strike in Afghanistan. Denis Mamdou Cuspert AKA Abu Maleeq al-Mujahid, a former rapper who called himself "Deso Dogg," publicized on YouTube a confrontation he had with German police officers in Berlin. 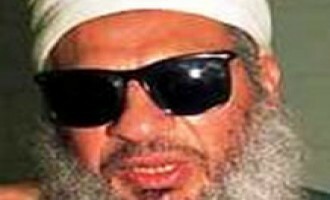 The website of the Egyptian Islamic Group (al-Gama'a al-Islamiyya) reported that Ahmed Omar Abdul Rahman, the son of the "Blind Sheikh" Omar Abdul Rahman, was killed in an American drone strike in Afghanistan. 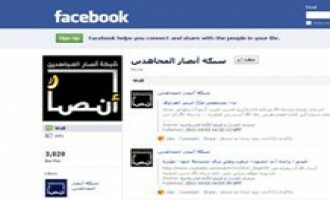 A jihadist suggested that fellow forum members use social networking websites such as Facebook and Twitter as platforms from which to incite Muslims in the United States to avenge the killing of radical American-Yemeni cleric Anwar al-Awlaki. A message attributed to Muhammad al-Shalabi AKA Abu Sayyaf al-Urduni, denied reports that he abandoned jihad in seeking to form a political leadership. 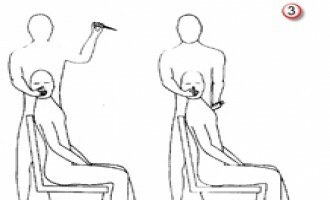 A jihadist gave excerpts from a manual on silent killing, showing the process by which to fatally stab a victim in the heart, and directed it to "individual lions" and Syrian rebels. A jihadist developed a strategy to move the war between al-Qaeda and the West to the enemy's soil, eschewing lone wolves and acts of individual jihad, and opting instead to sufficiently train fighters to carry out major operations. 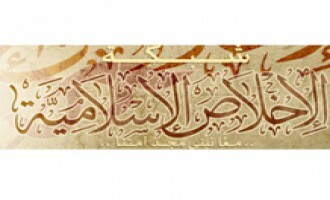 Hossam Abdul Raouf AKA Abdul Hadi Mustafa, the editor of al-Qaeda in Afghanistan's "Vanguards of Khorasan" magazine, published an 84-page book through Nokhba Jihadi Media attacking democracy as a system of governance. 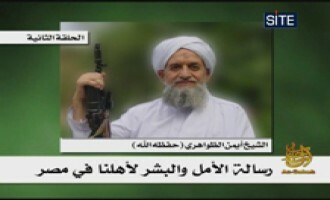 Al-Qaeda leader Ayman al-Zawahiri praised Libyan rebels for their taking the Libyan capital, Tripoli, and urged Algerians to follow their example and revolt against the regime of President Abdul Aziz Bouteflika in a speech released on jihadist forums on October 11, 2011. After reports were released that American-Yemeni cleric Anwar al-Awlaki was killed in an American drone strike in Yemen on September 30, 2011, British Islamists assured their followers that despite his death, his words will continue to live. 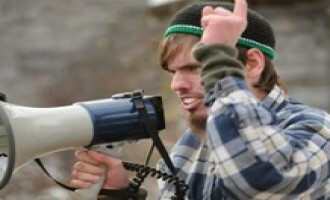 A jihadist warned that an upcoming danger to Europe lies in the children of fighters from Bosnia and Herzegovina who have Bosnian citizenship and passports, and are thus able to travel freely within the countries of the European Union. Ustadh Ahmad Farooq, al-Qaeda's head of media and preaching, urged Muslims imbued with love for the Prophet Muhammad to apply his teachings and traditions and transform that love into jihad in order to implement Shariah-based governance in Pakistan. 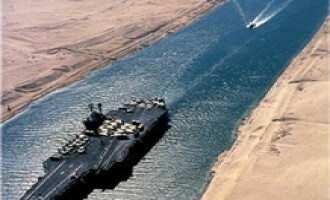 A Syrian jihadist called upon fighters in Egypt and Yemen to strike Iranian ships passing through the Suez Canal and the Bab al-Mandab strait, explaining that these vessels primarily provide logistical and military support to the regime of Syrian President Bashar al-Assad. 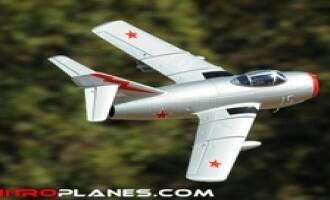 Noting the effectiveness of drones against fighters, jihadists discussed using remote-controlled planes carrying explosive payloads to strike targets in enemy countries. A prominent jihadist incited for lone wolf attacks in Morocco, appealing to Moroccans that they are a proud people and "they have none amongst them but determined lions and strong men." A letter attributed to Filiz Gelowicz AKA Um Saifullah al-Ansariyya confirming her alleged maltreatment in a German prison and announcing the dismissal of her lawyer was released by the Global Islamic Media Front (GIMF) on jihadist forums on October 4, 2011. A jihadist gave a biography of a Jordanian fighter who was slain in the Afghan-Pakistan region, Abu al-Zubeir al-Shami AKA Saber Muhammad Saber. 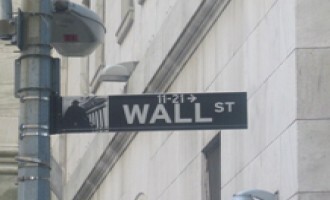 Jihadists discussed how to benefit from the Occupy Wall Street protests that have been ongoing in New York City, and suggested that their continuation will make the enemy lose focus on the wars abroad. 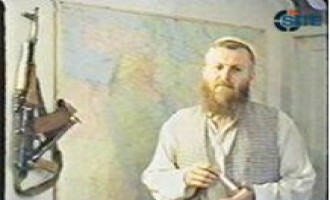 Gazavat Media reported that Abdul Fettah the German, the leader of the German Taliban Mujahideen, may have been killed in a drone strike in Waziristan. 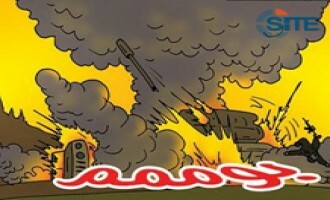 Jihadists produced a comic strip called "Son of the Martyr," and presented the first issue, showing three brothers using an explosives-laden toy car to blow up a tank of enemy soldiers. The al-Busyro Indonesian jihadist forum published a message by an individual calling himself Abu Ja'far al-Muhajir, who claims to represent fighters in Indonesia, remarking on the suicide bombing that occurred in Central Java, Indonesia, on September 25, 2011. Following reports of the death of radical American-Yemeni cleric Anwar al-Awlaki in a CIA-led drone strike in Yemen on September 30, 2011, jihadists addressed US President Barack Obama and threatened revenge. As news circulated on September 30, 2011, that an American drone had killed radical Yemeni-American cleric and jihadist ideologue Anwar al-Awlaki, his followers quickly gravitated to social media for confirmation of the announcement and to share their dismay. 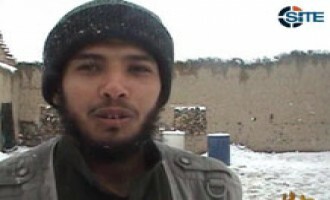 The jihadist who reported in June 2011 about the death of a Jordanian fighter in Afghanistan Mahmoud Hamdan Nizal AKA Abu Dher al-Urduni, provided an update with pictures of the slain and a story about a "miracle" after his death. 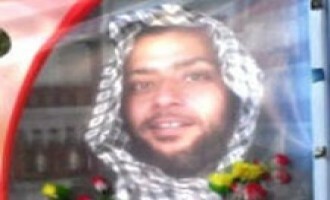 Muhammad al-Dosari AKA Abu Talha al-Kuwaiti, a fighter who reportedly sought to establish an al-Qaeda branch in Lebanon, gave the story of his escape from Roumieh prison in a message posted on the al-Fida' forum on September 28, 2011. A jihadist who claims to reside in Yemen confirmed the death of radical American-Yemeni cleric Anwar al-Awlaki in a drone strike on September 30, 2011. 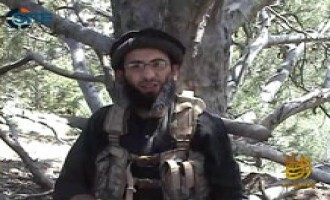 Members of the Ansar al-Mujahideen English Forum (AMEF), the English-speaking jihadists who remain Anwar al-Awlaki's target audience, responded cautiously to media reports that the jihadist cleric was killed by an American drone in Yemen on September 30, 2011. 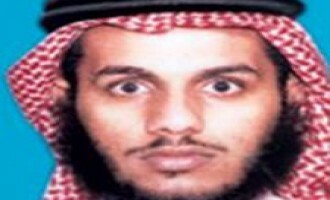 Abdul Muhsen Abdullah al-Sharekh AKA Sanafi al-Nasr, a jihadist named on Saudi Arabia's list of 85 men wanted for participation in extremist activity abroad, advised those individuals seeking to participate in jihad about what they should realistically expect in the battlefield. 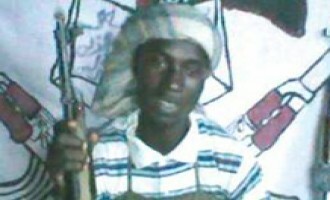 On August 26, 2011, a suicide bomber detonated his car bomb outside of the United Nations headquarters in the Nigerian capital city, Abuja. 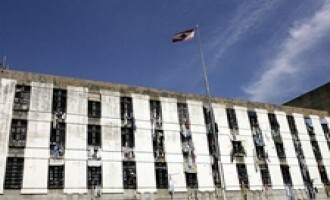 The attack destroyed several floors of the building and killed at least 23 people. A jihadist wrote an analytical piece about the Arab Spring, extracting lessons and charging that the revolutions demonstrated the selfish role of the West in the Middle East and North Africa. 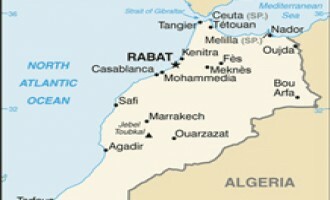 Jihadists discussed lone-wolf attacks in Morocco and suggested possible targets, including the American, French and German embassies, and companies operated by individuals belonging to these countries. A member of a suspected al-Qaeda-linked cell dismantled by Moroccan authorities on September 23, 2011, is a prominent online jihadist who had recently bid farewell to the forum community. 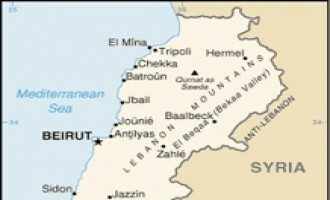 A group calling itself the "Supporters of the Islamist Prisoners in Central Roumieh Prison in Lebanon" gave a report on the riot that occurred at the facility on September 23, 2011, in which imprisoned Fatah al-Islam fighters took 10 Lebanese International Security Forces hostage. 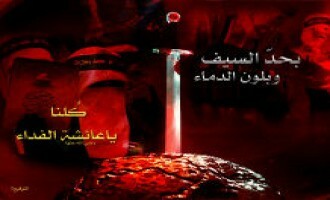 Posts on an English-language jihadist forum called for support for imprisoned former members, encouraging current members to provide financial and emotional aid in discussions occurring on September 19 and 23, 2011. 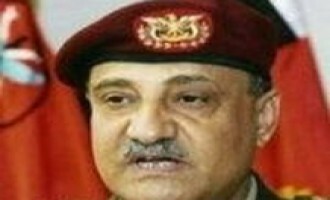 Masada al-Mujahideen, a Palestinian militant faction, criticized Palestinian Authority President Mahmoud Abbas for seeking membership for a Palestinian State from the United Nations in a statement issued on jihadist forums on September 23, 2011. 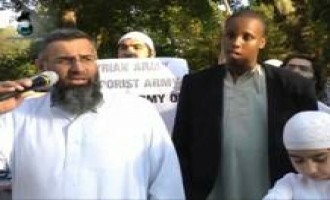 A jihadist gave information about the possible addresses in London, England, of a Shi'ite cleric who has been threatened with death due to slanderous remarks he made against the Prophet Muhammad's wife Aisha. 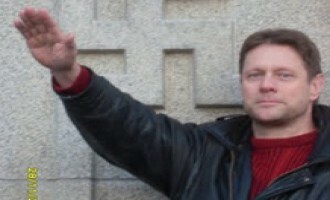 A prominent jihadist renewed his call for Muslims in Finland to "cut off the head" of Seppo Olavi Lehto after Lehto requested protection against the threat. A religious decree forbidding women from physically participating in jihad unless there is a "dire necessity" was posted on the website of prominent jihadist cleric Abu Muhammad al-Maqdisi, "The Pulpit of Tawhid and Jihad." 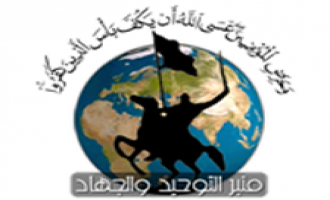 Abu Suleiman al-Nasser, a prominent member of the jihadist forum community, urged fellow forum members to seriously contemplate carrying out individual acts of jihad and not satisfy themselves by merely posting messages. 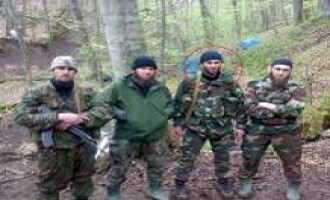 Following the murder of three Chechen rebels in Istanbul, Turkey, on September 16, 2011, jihadists held Russian agents responsible and called for revenge, suggesting attacks on Russian citizens in Turkey. 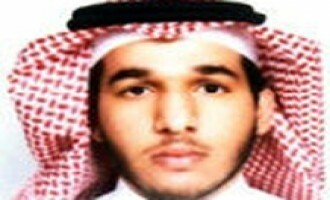 Abdul Muhsen Abdullah al-Sharekh AKA Sanafi al-Nasr, a jihadist named on Saudi Arabia's list of 85 men wanted for participation in extremist activity abroad, criticized the Kingdom for allegedly persecuting Muslim women in an article published in the 19th issue of "Vanguards of Khorasan." 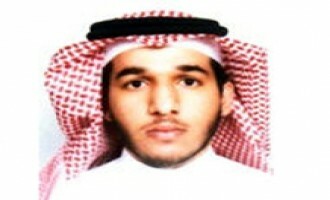 A jihadist reported the death of two Saudis listed on Saudi Arabia's most wanted lists. 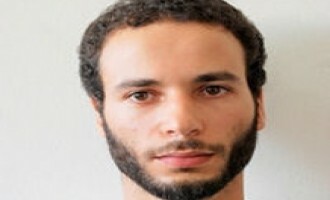 Following the arrest of American jihadist Emerson Begolly, on January 3, 2011, members of a password-protected English-language jihadist forum have closely followed Begolly's case, creating discussion threads for each stage of his arrest, indictment, and eventual guilty plea. 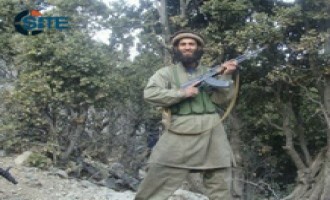 A biography of a slain fighter touted as the "ideal mujahid," Abu al-Fida' al-Shami AKA Muhammad al-Sheikh Ameen al-Halabi, is featured in the 19th issue of al-Qaeda in Afghanistan's "Vanguards of Khorasan" magazine. 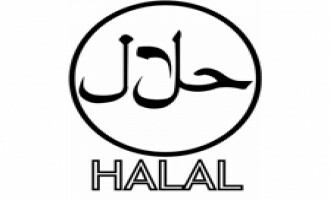 A prominent jihadist warned fellow forum members about food and beverages imported from Brazil, Europe and the United States, suggesting that what is labeled as halal, meaning "permissible," may not actually be halal. Reacting to discussions amongst forum members about Yemeni forces reportedly driving Ansar al-Shariah fighters from Zinjibar, the capital of Abyan province of Yemen, a Yemeni jihadist explained that the group's withdrawal is part of their strategy. 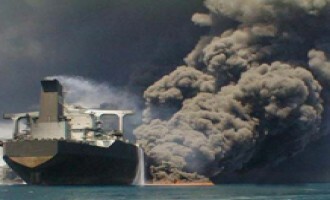 A jihadist called for attacks on oil tankers, particularly those in waters around the Arabian Peninsula and the Horn of Africa, and gave suggestions to carry out successful strikes. 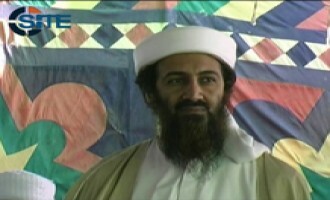 In al-Qaeda's video commemorating the 10th anniversary of the 9/11 attacks, the group's media arm, as-Sahab, included footage of a speech by former al-Qaeda leader Usama bin Laden that it had not previously published. 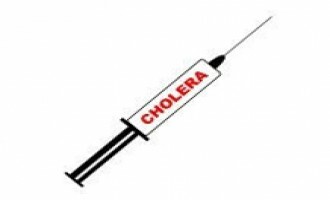 A prominent jihadist called upon Muslims in Europe and the United States to cultivate and spread cholera in order to punish the enemy for their "crimes." 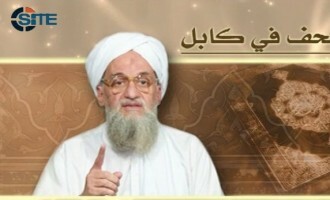 Al-Qaeda's media arm, as-Sahab, released a video commemorating the 10th anniversary of the 9/11 attacks, featuring an audio speech by al-Qaeda leader Ayman al-Zawahiri and previously unreleased footage of former leader Usama bin Laden. A jihadist posted a message allegedly from the "Brigades of Usama bin Laden" within Fatah al-Islam, announcing its plans for expansion and advertising forthcoming releases. 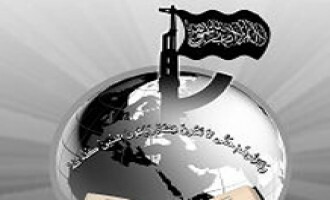 Al-Fajr Media Center released the 19th issue of al-Qaeda in Afghanistan's e-magazine "Vanguards of Khorasan" on jihadist forums on September 11, 2011. 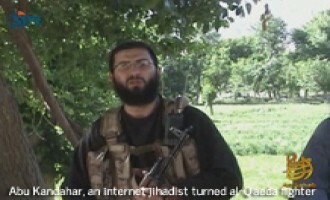 Abu Suleiman al-Nasser, a prominent member of the jihadist forum community, released an audio message he said he recorded, inciting Muslims in Europe and the United States to carry out acts of individual jihad. As the tenth anniversary approaches of the 9/11 attacks in New York City and the Washington, D.C. area, a jihadist warned America of possible strikes and remarked that the killing of Usama bin Laden was the breaking point in the conflict. 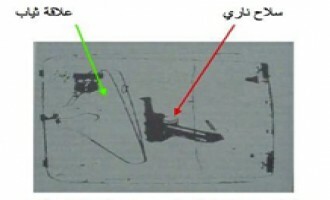 Jihadists exchanged ideas for methods to foil advanced security measures including airport x-ray machines and thermal imaging cameras in two discussion threads on a password-protected Arabic-language jihadist forum. 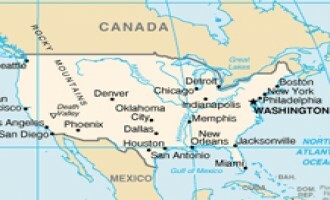 A jihadist compiled an economic study of the United States following the 9/11 attacks and its expenditures abroad in Afghanistan and Iraq, and offered ideas to al-Qaeda destroy the US economically. 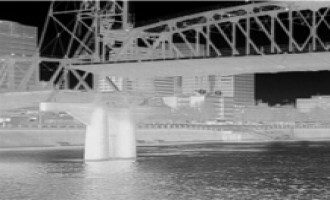 In a discussion thread started on September 9, 2011, jihadists posted ideas for escaping the notice of thermal imaging cameras. The "Minbar Media Project" released a video from a group calling itself "Kateeba Jund al-Khilafah," (Brigade of the Caliphate's Soldiers), showing what they claim to be a rocket attack on an American base in Khost province of Afghanistan. 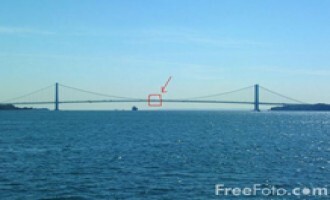 Replying to a suggestion to bomb suspension bridges, particularly those in New York City, a jihadist advised that it may be better to try and destroy the suspension cables. 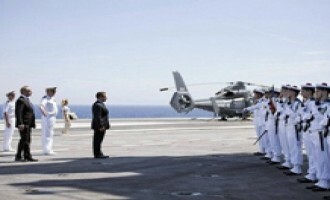 A jihadist remarked that French President Nicolas Sarkozy opened a "new door to hell" in Libya for France and Western countries weary from the wars in Afghanistan and Iraq when he declared victory over Muammar Gaddafi. A jihadist asked fellow forum members to contribute their ideas about where the next strike in the United States should take place, and suggested attacks on economic targets to cause the largest losses. 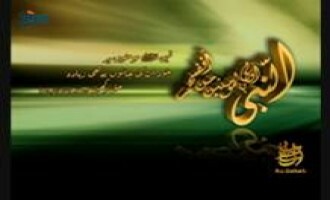 The Karachi Wing of Tawhid Brigades claimed the assassination of a Pakistan Navy officer on the day of Eid al-Fitr, and threatened to kill all members of the Pakistani Army. 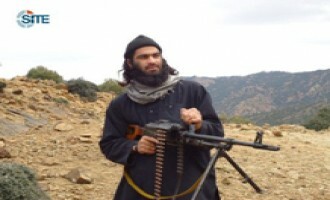 A Yemeni jihadist reported that a fellow forum member departed to Abyan province of Yemen to join the fighters. 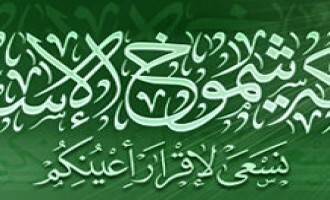 A group calling itself "Jama'a Ansar Beit al-Maqdis" (Ansar Jerusalem, or Supporters of Jerusalem), claimed responsibility for the August 18, 2011, multi-stage attacks in Eilat, Israel, in which eight Israelis were killed. A jihadist pointed to what he found to be a weak point of suspension bridges, and directed his message to "those who love blasting and explosions." A Yemeni jihadist reported that US Marines were observed amongst Yemeni forces in Dofas, a town in Abyan province, which indicates preparations for a "decisive battle." 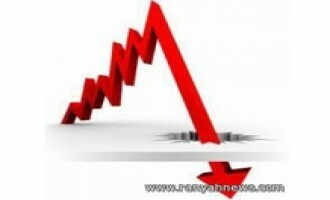 A jihadist reported that a fellow forum member was killed during the month of Ramadan while carrying out a jihadi operation. The Brigades of Abdullah Azzam congratulated the protestors and rebels involved in the Arab Spring in a message for the occasion of Eid al-Fitr, and praised fighters from al-Qaeda and other groups, who, they argued, provided the spark for the revolutions. A Yemeni jihadist gave a report about an attack on Yemeni Defense Minister Muhammad Nasser Ahmed's convoy in Abyan province of Yemen, and threatened that fighters will continue to pursue him until they successfully kill him. 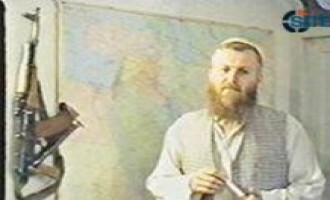 Attiya Allah, an al-Qaeda official, offered advice to Muslims and fighters on the occasion of the holy month of Ramadan and commented on recent events in Afghanistan in an audio speech released on jihadist forums on August 30, 2011. 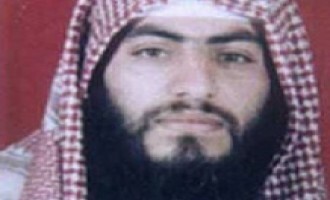 Jihadists reported about the whereabouts of Abu Musab al-Suri, an imprisoned al-Qaeda ideologue, with one saying that he is held in the suburb of Kafr Soussa, in Damascus, Syria. 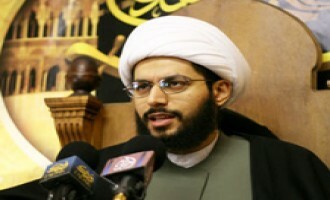 The administrators of the Shumukh al-Islam Network, an exclusive distributor of al-Qaeda's propaganda, called upon members to kill and incite for the killing of Yasser al-Habib, a Shi'ite cleric, for disparaging remarks he made against the Prophet Muhammad's wife Aisha. 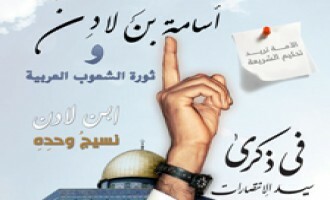 Tawhid and Jihad Group in Jerusalem, a Gaza-based militant faction, asked Muslims to donate money to them in a message issued on jihadist forums on August 26, 2011. 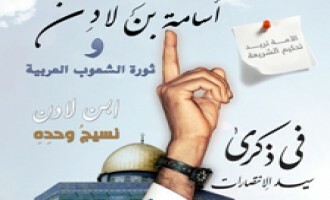 Tawhid and Jihad Group in Jerusalem, a Gaza-based militant faction, released a video criticizing Fatah and Hamas for abandoning Islamic Shariah and instead implementing a democratic system of government. 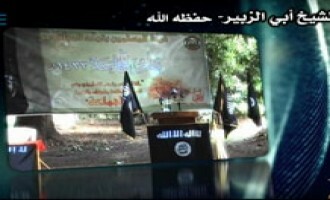 Khalid bin Abdul Rahman al-Husainan lectured on remembrance and praise for God as a daily practice in a video produced by al-Qaeda's media arm, as-Sahab. 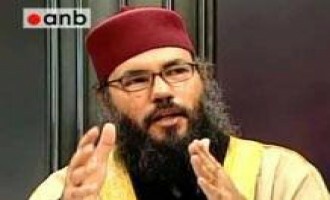 A religious decree endorsing participation in riots in Europe with the intention of jihad was posted on the website of prominent jihadist cleric Abu Muhammad al-Maqdisi, "The Pulpit of Tawhid and Jihad." In the past weeks and months, a member of the jihadist forum community incited fellow members to carry out attacks in Europe and the United States, and inquired how to poison water tanks that feed tourist complexes.